When I was growing up all the local neighborhoods used to compete for bragging rights to the largest, tallest, most tyre filled bonfire pile the world had ever seen. This led to much midnight bonfire pile theft where an old wooden garden gate would provide structural integrity to four or five different bonfire piles before finally being incinerated. One year a local family came home from holiday to find their rickety old garden shed had been deemed worthy of being dismantled, theived and sacrificed in the pursuit of local bonfire greatness. Initiative - that's what it's all about. You saw a rickety old shed in need of dismantling; you have a bonfire; everyone's happy. I'm sure the family were delighted in your proactive interest in their belongings. I once accidentally set fire to my friend's face during an unsupervised chemistry experiment at school. His name was Jonathan Washington, he was ginger-haired and he probably didn't deserve it. ......unless you are now into terrorism, in which case I suppose what goes around comes around, you evil, ginger freak with the carbon-tinged smoking eyebrows. Guy Fawkes had red hair apparently. Coincidence? I don't think so. I don't think I have anything in me after reading 'for Fawkes' sake,' 'testicle-extracting,' 'Gay Forks,' and 'ginger freak with the carbon-tinged smoking eyebrows! Who'd have thought the OED would be such fun!! We don't celebrate Guy Fawkes in Canada, but did in New Zealand. We live on a couple of acres in the boonies, and have a great spot for bonfires in the back field. In fact, we will be having one very soon! Well, Jingles, I think it's your responsibility to introduce this great celebration into Canada. 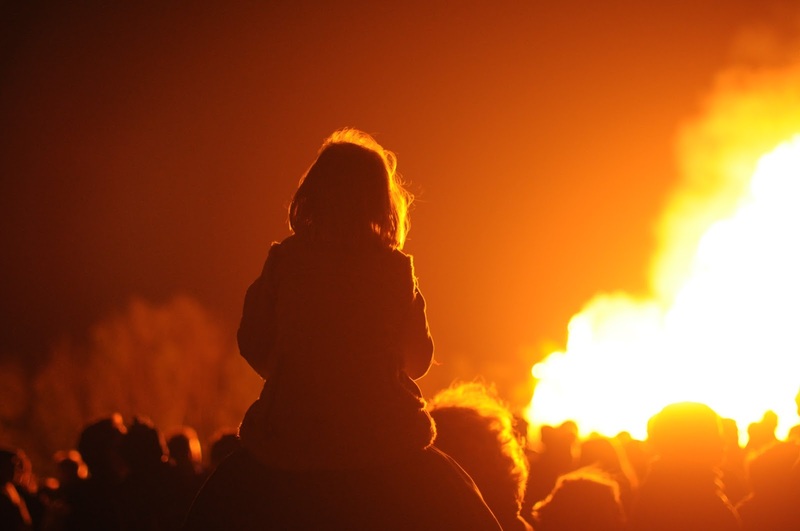 Do make sure you make an effigy for the upcoming bonfire. I thought "boonies" was Canadian for testicles? Why the *coughs*? Are you having yours checked? I told you - it was a bad accident. I can't be too careful now. Your brother looked a bit sheepish when I mentioned the bonfire/BMX combo ... I've no idea why!! "A good effigy burning" hahahahahahaha!! I don't know what it is with you and the word effigy, but the final result is always very funny! 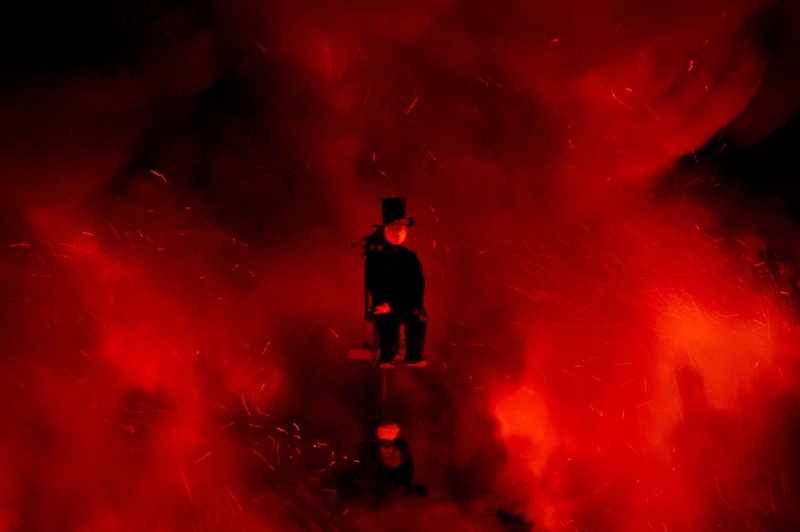 We have bonfires during the Carnival where we burn the Carnival King. Then, in some places they burn an effigy of Judas after Easter Sunday (I think). 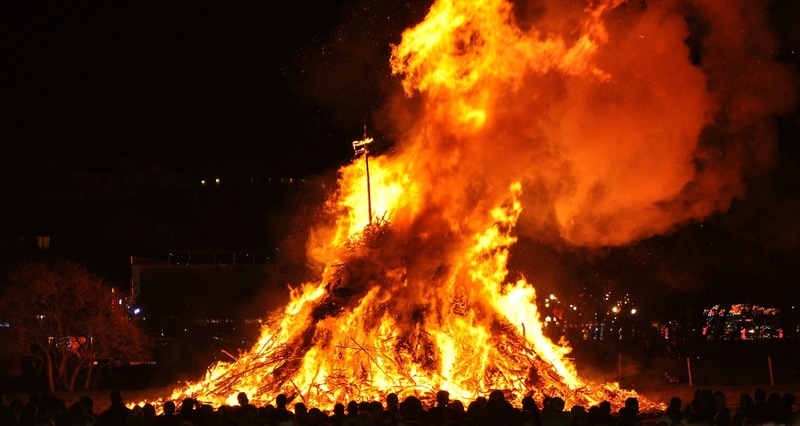 And then in some other places, they have bonfires in June and they burn the Mayday wreaths. I guess Greek people like bonfires a bit too much.